A KILLING GAME presented by Dog & Pony DC as part of the 2013 Cincinnati Fringe Festival. You can read the show description here. Where some shows require volunteers from the audience, consider yourself volunteered the moment you purchase your ticket to A KILLING GAME. As you arrive, each audience member is given a unique pack of six game cards. These will be used to guide you through the audience participation sections. (You may want to arrive early enough to look over the cards before the show starts.) Smart phones are welcome and encouraged, as during one round, you’ll be able to call-in, text and tweet news to the cast. The show is zany fun with tongues firmly planted in cheek, led by a talented color-coded ensemble. The more the audience embraces the participation, the more momentum the show gains. Opening night, they took an audience of strangers and turned them into four packs (BLUE MOON ‘OOOWWWLLL!!!) competing to survive in a world gone mad. Grab a couple of friends, a couple of cocktails, let your hair down, and die like no one is watching. It makes for a fun and truly memorable experience. Click here for a complete list of show times, local media coverage and other reviews for A KILLING GAME. DIRK DARROW: NCSSI presented by Tim Motley as part of the 2013 Cincinnati Fringe Festival. First a quick confession. In setting my fringe schedule, I start by compiling a list of must-sees. Using only the guide information in hand I go with my gut. This show had me at the title. Follow the trail of a killer through murky paranormal city streets in the world’s only one-man comedy film noir magical murder mystery! Marvel at impossible deductions from clues supplied by you, the spectator! Think Boardwalk Empire meets X-Files meets Naked Gun. Part stand up, part mental-ism part theater, all gritty 1940’s nostalgia. The show does rely heavily on audience participation, but don’t hesitate to join in. It’s all in good fun and nothing too embarrassing. DIRK is being performed at 1334 Main Street, which is one of the smaller venues. The opening performance had few open seats. And for those of you that wondered, NCSSI stands for Not Completely Serious Supernatural Investigator. Click here for a complete list of show times, local media coverage and other reviews for DIRK DARROW: NCSSI. Tanya O’Debra as Emily Dickinson. SHUT UP, EMILY DICKINSON presented by Tanya O’Debra as part of the 2013 Cincinnati Fringe Festival. You can read the show description here. Tanya O’Debra, the playwright and performer in last year’s sold-out hit, RADIO STAR, returns as the title character in her new show, SHUT UP, EMILY DICKINSON. Before the famous Grey Gardens recluses of Big Edie and Little Edie, there was Emily and Lavinia Dickinson. Little is know about Emily’s life, as her sister burned most of Emily’s letters after the poet’s death (as requested). What we get is a funny, smartly-written piece that falls squarely into the theater of the absurd. Time has no meaning as Emily wanders around her bedroom, with the ever-present Master conversely wooing and tormenting her. O’Debra is laugh-out-loud funny in her portrayal of Dickinson. She is supported onstage only by the talented Gregg Bellon. He supplies the voice of the offbeat Master and controls the multimedia for the show. While SHUT UP may not have the broad appeal of last year’s show, it is a fun entry that falls on the fringe-ier side of the festival. Click here for a complete list of show times, local media coverage and other reviews for SHUT UP, EMILY DICKINSON. QUESTIONS OF THE HEART: GAY MORMONS AND THE SEARCH FOR IDENTITY presented by Ben Abbott as part of the 2013 Cincinnati Fringe Festival. You can read the show description here. The debate over gay rights, particularly gay marriage, continues to headline the news. Many religious organizations condemn homosexuality as a sin, forcing gay and lesbian church members to face the decision of faith versus sexual identity. In his one-man show, straight Mormon Ben Abbott tries to define for himself where homosexuality fits into his religious beliefs. Originally produced as his honors thesis in 2011, this re-written work shares portions of interviews Abbott had with gay Mormons, and how they faced their crisis of faith. Opening night, the solo performance was a bit rough around the edges, due in part to the pressure of opening, and the lack of experience in performing the piece. I’m sure much of this will resolve with more performances under his belt. As you continue to present this play, I would offer a few suggestions to bear in mind when rehearsing. Bring your energy level up and a bit more of your personality to the stage. I felt a much better sense of you in your one-minute preview Monday night. Also you might want to better define differences in both vocal quality and physicality when portraying the interviewees. You obviously have a passion for both your religion and your subject matter, you’ve connected intellectually, now let’s see you connect more to the work emotionally. Overall, a strong personal story that needs a bit more refinement in its delivery. Click here for a complete list of show times, local media coverage and other reviews for QUESTIONS OF THE HEART: GAY MORMONS AND THE SEARCH FOR IDENTITY. 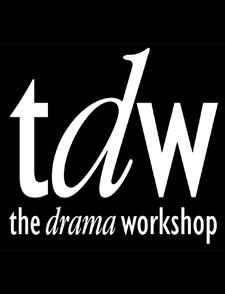 The Drama Workshop is starting an Improv group and is seeking members who have an interest in learning and preforming short form Improv. Experienced and those interested in learning are encouraged to attend. Also, we are trying to have our first performance on June 27th as part of a fundraiser. June 25 7pm our last chance rehearsal before June 27 8pm performance. We can decide on June 19 if we want to keep this date… if we are confident (well relatively speaking), then we can cancel this date. Come to rehearsals when you can, but if you are planning on joining the performance, we ask that you come to at least 3 rehearsals. We need to feel out the group and start creating some trust with each person’s style. For our performance, we would like to plan for roughly an hour Everyone’s ideas are welcome. We are trying to build the performance with a mix of improve games and scenes.